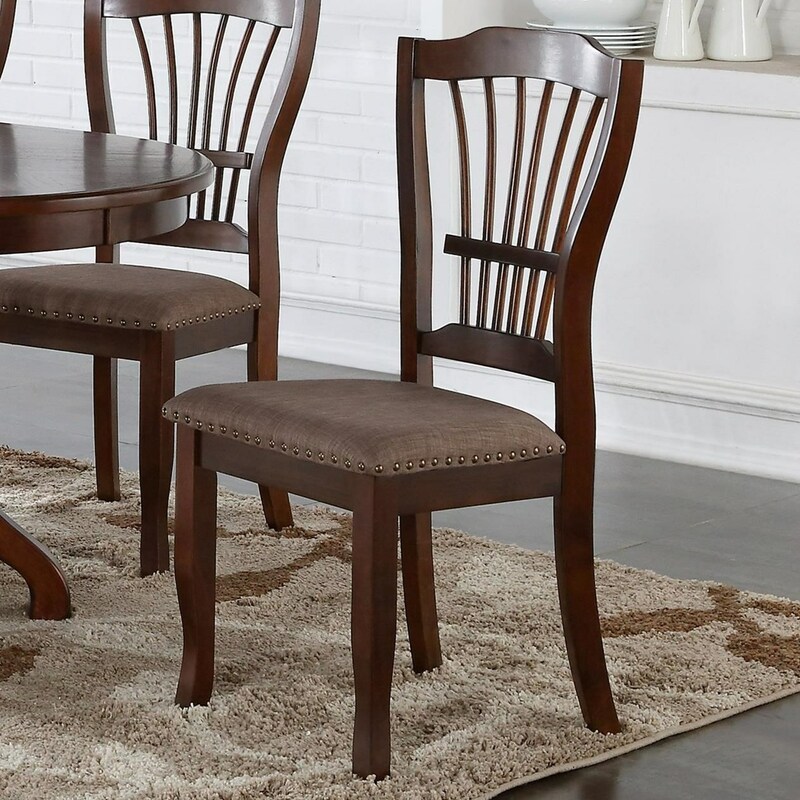 Surround your table with this stylish dining side chair. A wheat back design is paired with an upholstered seat adorned by nailhead trim. Front legs have a curved shape while the rear legs are splayed. 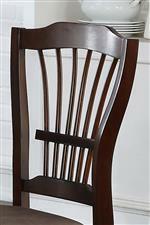 Constructed from wood solids and finished in an Espresso finish, this chair has classic style that is perfect for the traditional dining room. The Bixby Dining Side Chair with Upholstered Seat Cushion and Nailhead Trim by New Classic at Zak's Home in the Tri-Cities, Johnson City, Tennessee area. Product availability may vary. Contact us for the most current availability on this product.